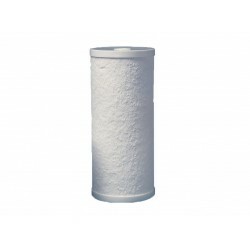 Multi-Pure water filters are the rollys royce in premium carbon filtration. 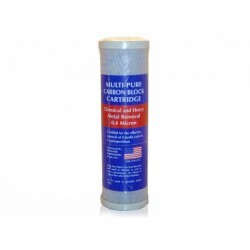 Premium Made in USA Water Filter Cartridges. They use only the highest quality carbon which produce an ultra-fine nominal 0.4 micron rating. 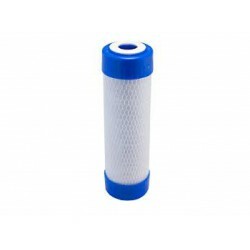 Multi-pure water filters are suitable replacement for any standard 10" carbon block water filters. 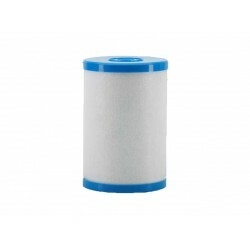 Multi-Pure Carbon Block 0.4 Mic Water Filter Cartridge Beige 10"
Multi-Pure Premium 0.4 Micron Carbon Block Water Filter Beige Cap 10" Multi-Pure's 10 inch Beige Cap Carbon Block Water Filter cartridge is manufactured by Multi-Pure International’s wholly-owned subsidiary Carbon Block Technology (CB Tech), provides the most efficient filter performance possibl..
Multi-Pure Carbon Block 0.4 Mic Water Filter Cartridge Blue 10"
Multi-Pure Premium 0.4 Micron Carbon Block Water Filter Blue Cap 10" x 2.5" Multi-Pure's 10 inch Blue Cap Carbon Block Water Filter cartridge is manufactured by Multi-Pure International’s wholly-owned subsidiary Carbon Block Technology (CB Tech), provides the most efficient filter performance po..
Multipure MP750 Replacement Water Filter CB6 9" x 4.5"
Multipure MP880 Replacement Filter CB6 9" x 4.5" Made in USA by Multi-Pure Will suit MP750, MP750SB and MP1200EL Reduces a wide range of contaminants including Arsenic V, Cysts, Lead, PCBs, MTBE, Mercury, Asbestos, Chlorine, Chloramine, VOCs and many more other contaminants of health con..
Multipure MP880 Replacement Filter CB11As 11.5" x 4.5"
Multipure MP880 Replacement Filter CB11As 11.5" x 4.5" Made in USA by Multi Pure Will suit MP880, MP880SB and MP880EL Reduces a wide range of contaminants including Arsenic V, Cysts, Lead, PCBs, MTBE, Mercury, Asbestos, Chlorine, Chloramine, VOCs and many more other contaminants of healt..